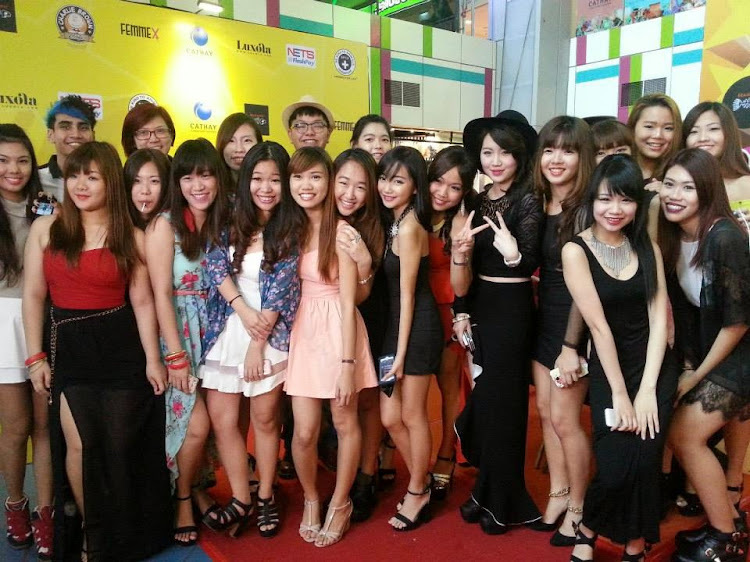 www.uncletehpeng.com : Do you have what it takes to be the Next Online Sensation? 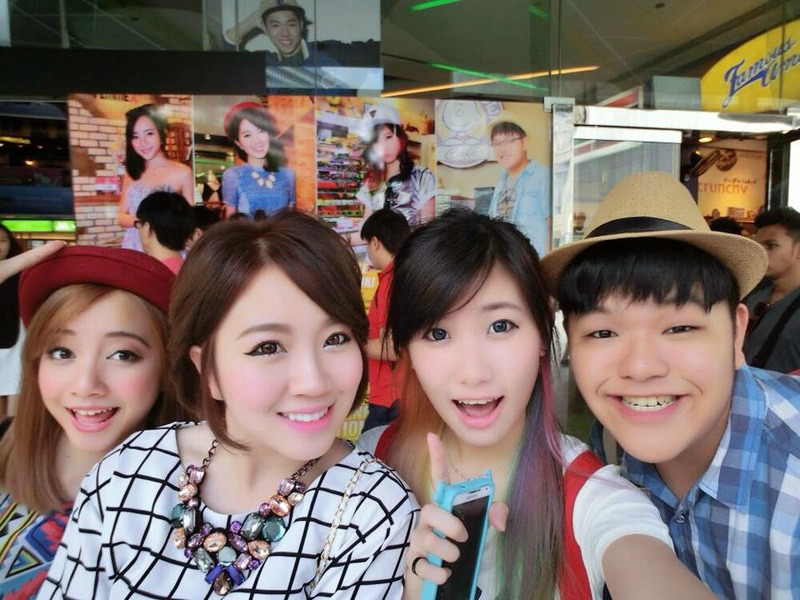 Do you have what it takes to be the Next Online Sensation? #CNOS4 is back again for it's 4th year and I can't believe it has already been a year since I was crowned 2nd Runner Up in #CNOS3. In case if you did not know, I was a contestant for two consecutive years. #CNOS2 was great, but #CNOS3 was even better as I made many new friends! Till today, we still meet up for regular meals and even bump into each other during blogging events. 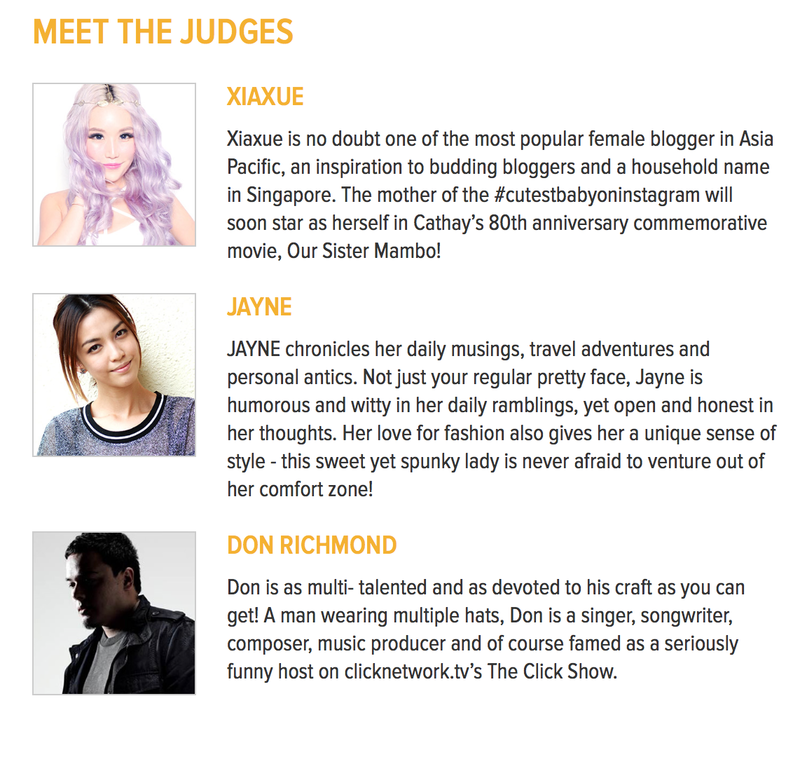 This competition has made me boost my self-conficene especially being in front of the camera. Being an introvert person that does not like to socialise at all, I have changed to a more open and bubbly person over the past two years and it's all thanks to blogging because I get to meet many different bloggers in the industry be it, food or lifestyle bloggers. I'm thankful to have so many opportunities till date. If you are looking for a boost in publicity and want to try your luck for fame! Why not join #CNOS4 this year! I wouldn't exchange anything for our friendship gained from this competition. 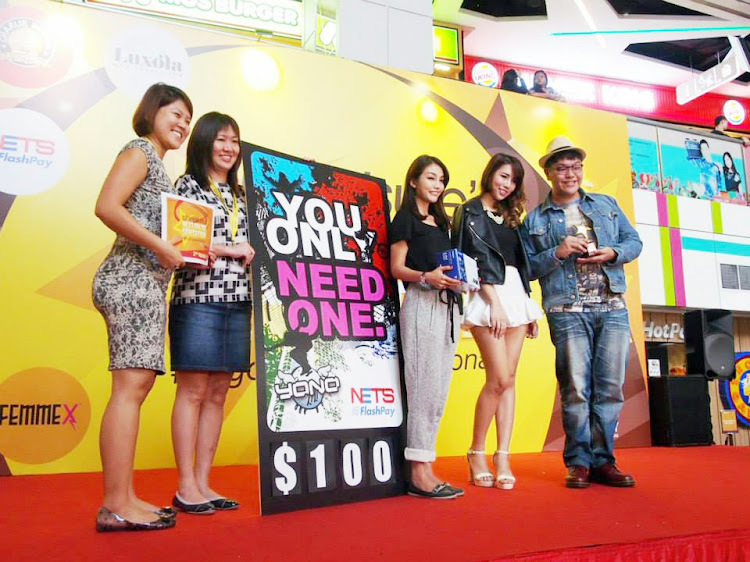 Vivian, Noelle and I on stage with BongQiuQiu, We were the winners for Challenge 1! 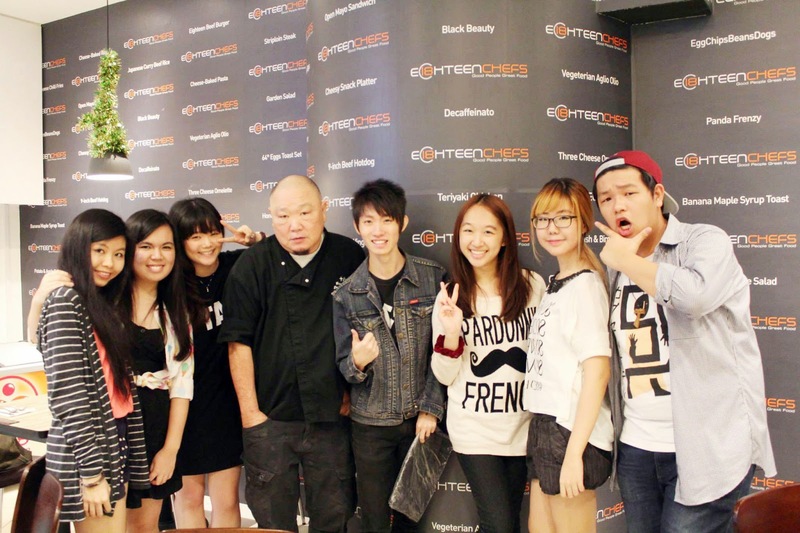 Lots crazy things we did last year, we dressed up as nerdy students hanging out at Cineleisure after school! It was super fun! 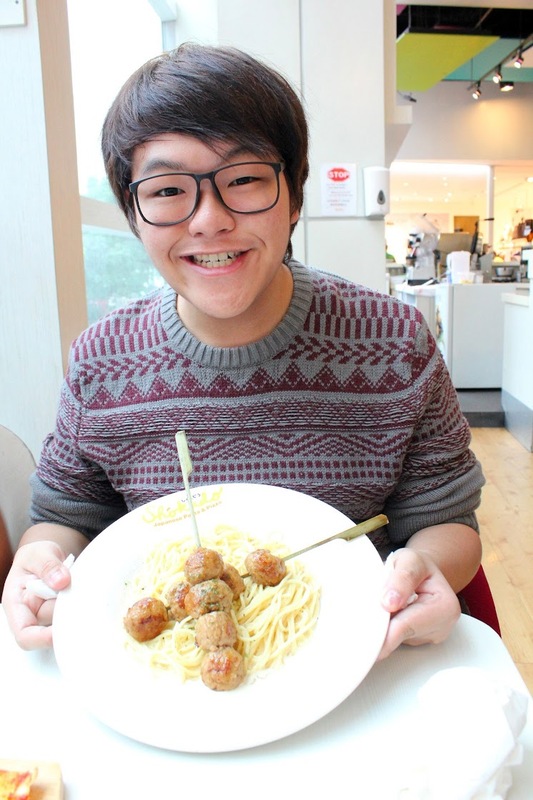 I had the most enjoyable time during the food challenge, because I love writing about food! 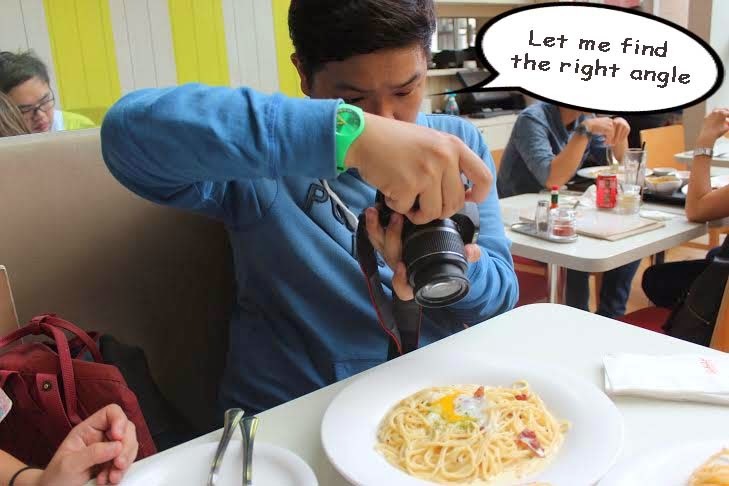 The challenge was to give tips on how to get a perfect food shot! I knew it was my favourite challenge hence I took the extra mile to share with everyone some on my photography tips when I take a photo. 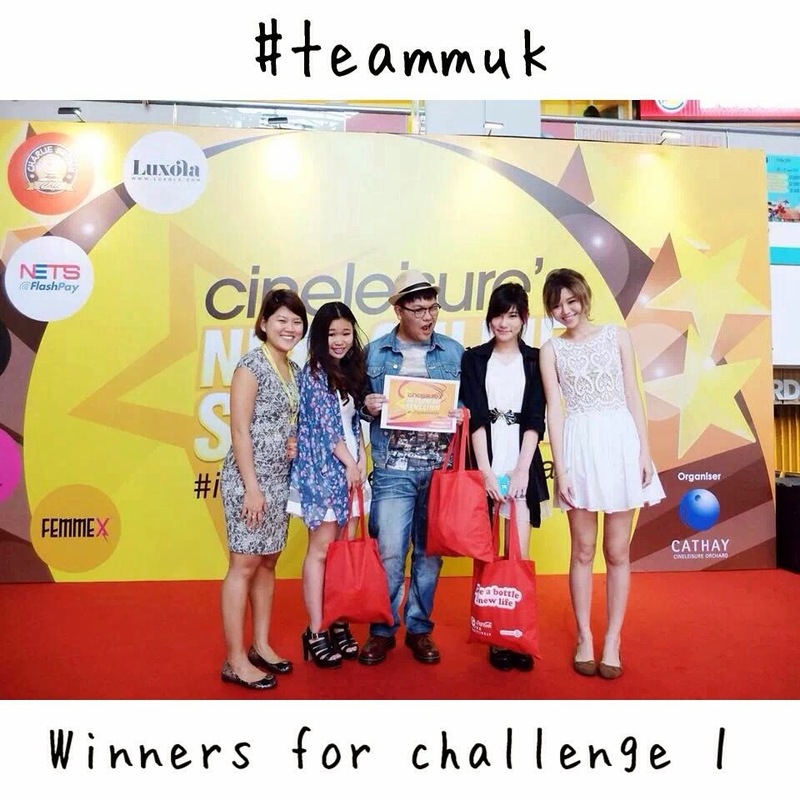 The challenge was judged by MissTamChiak, and I'm very honoured to meet her because I regard her as my role model and I aspire to become a established food blogger too! During Challenge 3, we were all given the task to set up a bazaar booth and it tested our entrepreneurship skills! The items purchased were all paid by using the NETS YONO Flashpay Card. So thankful for them to sponsor us the money to do a good deed for the charity. Fyi; all the earnings were donated to the SPCA! Glad to do something for a meaning! 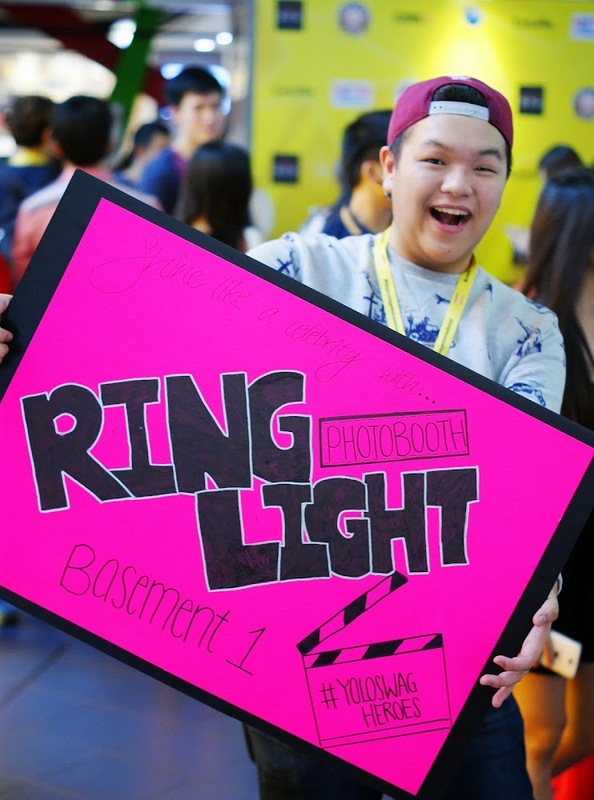 It was really fun as I went around the whole mall to promote the event which was held at the basement. Group photo with the entire #CNOS3 contestants! 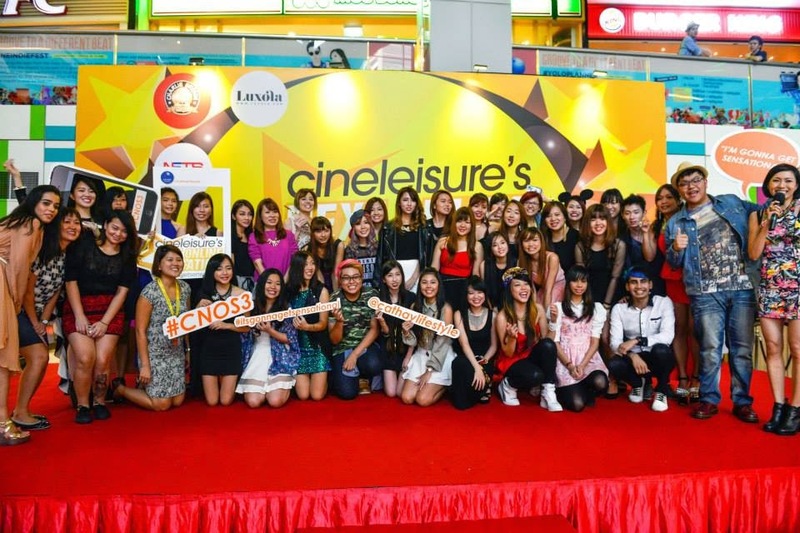 I was then crowned the 2nd Runner Up for #CNOS3! 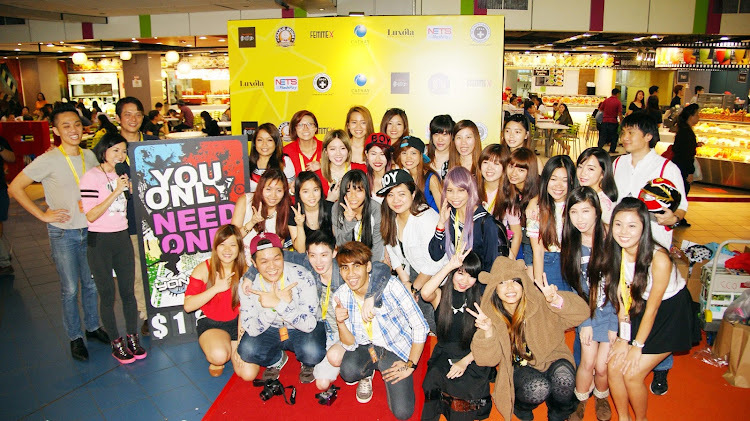 Was on stage with Shenny Yang and Sheilamansy! Honestly, I had the shock of my life! As it was one of my very first external achievements earned form outside (besides school)! Shu Feng, Michelle, Noelle and I posing infront of our life-size posters! I got friends texting me that they saw my poster at Cathay Cineleisure Orchard they even took photo of it and sent it too me! It gave me an instant boost in my exposure as my entire school found out about it, even my lecturers! 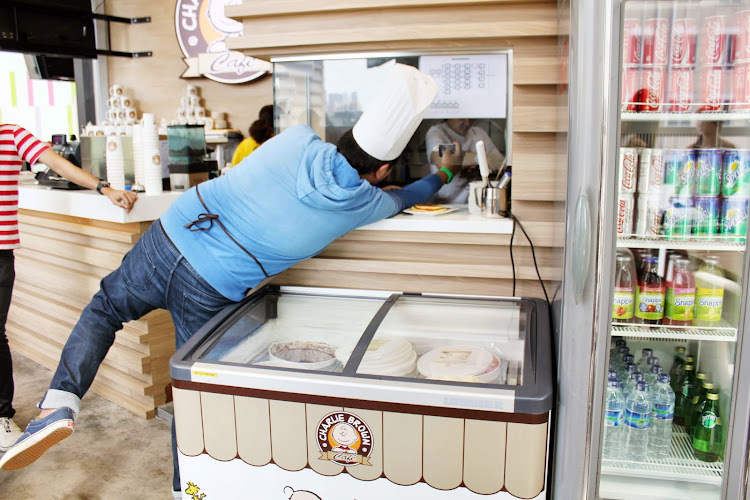 Never in my life dreamt to appear in an advertisement!! 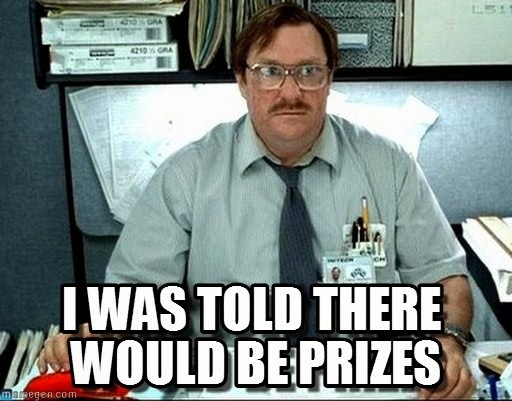 WHAT ARE THE ATTRACTIVE PRIZES TO BE WON THIS YEAR? 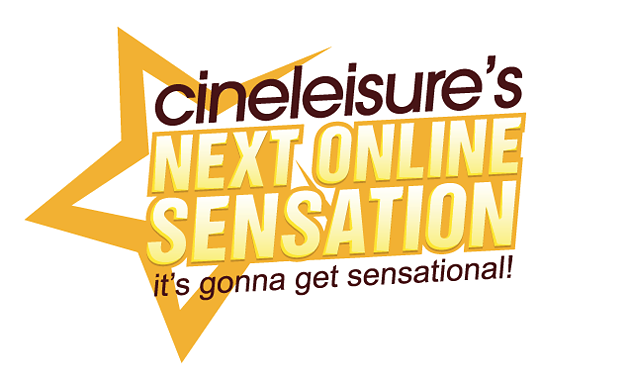 The Winner of Cineleisure’s Next Online Sensation 4 will be awarded with $2,000 cash (WOAH THEY INCREASED THE GRAND PRIZE ) and a larger-than-life size advertisement in Cathay Cineleisure Orchard! 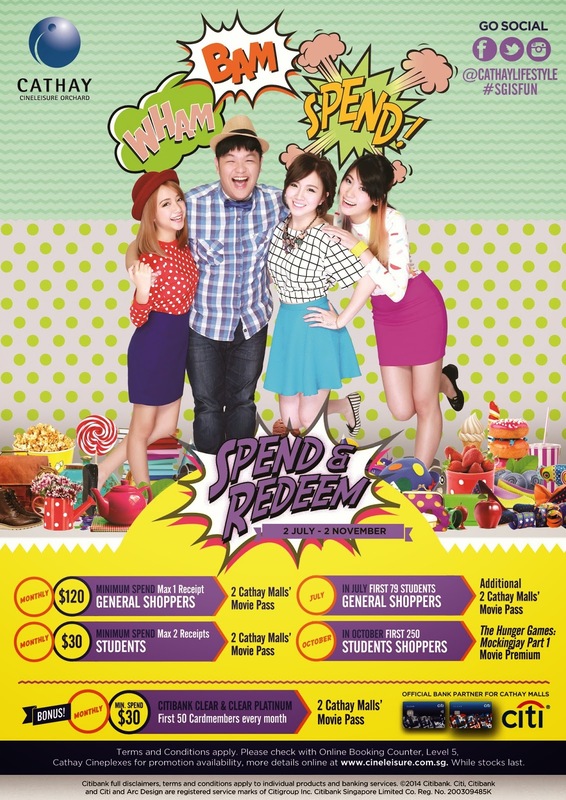 $1,200 cash and a dedicated result advertisement space in Cathay Cineleisure Orchard for one month! $800 cash and a dedicated result advertisement space in Cathay Cineleisure Orchard for one month. 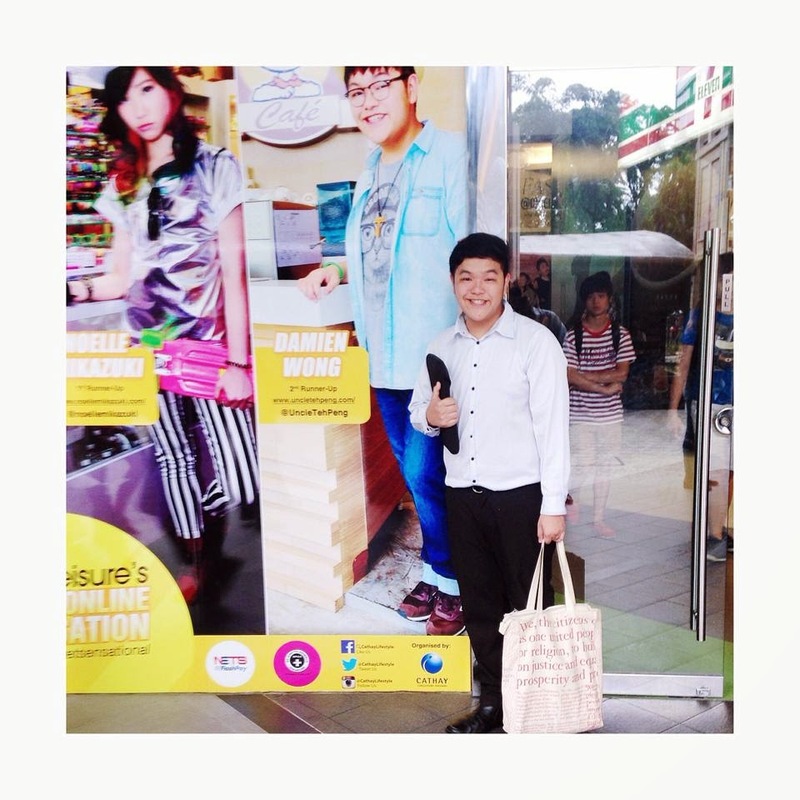 $300 cash and dedicated result advertisement space in Cathay Cineleisure Orchard for one month. What are you waiting for? I have already had my turn and now it's for you to shine!